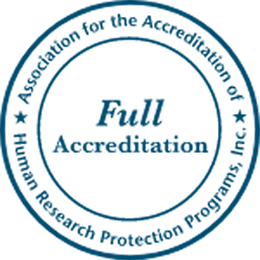 Advarra’s Canadian IRB is the largest central IRB in Canada and the only Canadian-based IRB to earn accreditation from the Association for the Accreditation of Human Research Protection Programs (AAHRPP). Advarra® has the most extensive site reach in Canada and is led by industry-trained senior management professionals. The Canadian review services was founded in 1993 and is headquartered just outside Toronto with a second office in Montreal. Advarra has boards in Ontario and Quebec that handle Canada-specific research. 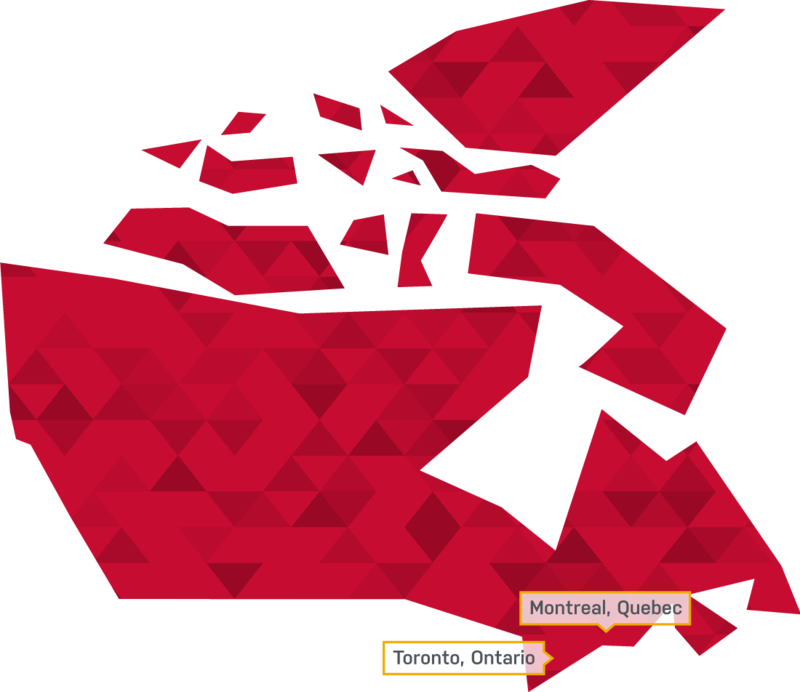 Advarra’s Canadian IRBs are comprised of Canadian members only. Advarra’s team goes the extra mile, taking the time to understand each client’s style and expectations. Our team can adapt to your situation, building a relationship based on trust and dependability. Fully AAHRPP accredited, the Canadian boards have decades of combined experience having reviewed thousands of projects across all types and phases of research. Advarra’s CIRBI Platform is the industry’s most advanced and proven online IRB platform. The CIRBI Platform enables real-time access to submit and track projects utilizing adaptive form technology, 24/7/365, from anywhere with internet access. Learn more about the CIRBI Platform. Advarra understands the unique demands and requirements of fast paced Phase I BA/BE research and its nuances in both Canada and the United States. Having partnered with many of North America’s largest and most successful clinics, Advarra’s reviewers facilitate rapid turnarounds while maintaining the highest quality in research participant protection, reliability and service. Community-based research comprises a range of activities in health, education, social and behavioral science as well as other disciplines designed to systematically gather important information about various aspects of the human condition. Most of these research projects employ qualitative research methodologies, or a mix of quantitative and qualitative methodologies, and often include special circumstances. Community-based research functions work best by engaging and collaborating with communities and their citizens beginning with defining the research need through collaboration to completion of the research and communication of the results to the various stakeholders. Advarra has broad experience in reviewing community-based research conducted in virtually every region of the globe, as diverse as the patient needs assessments, health determinants and outcomes in various communities and strata of society. These include studies of substance abuse, domestic violence, problem gambling, human factors and educational intervention innovation, among many others. These projects are often publicly funded or funded by the communities themselves with limited governmental or NGO support. Broadly speaking, minimal risk research is defined as research that poses no more risk to the participants than they would normally experience in daily life. Research that poses no more than “minimal risk” to participants among other considerations may be eligible to receive an expedited review. In this scenario, the research is reviewed by the board chair or one or more designated experienced ethics board members, instead of scheduling for a full IRB review at a convened board meeting. A few examples of research projects that may qualify for expedited review include naturalistic observational studies (including certain types of post-marketing surveillance), retrospective chart reviews using anonymized data, prospective collection of biologic samples by non-invasive means (e.g., a mouth swab), research on individual or group characteristics or behavior (including, but not limited to, research on perception, cognition, motivation, identity, language, communication, cultural beliefs or practices, and social behavior) or research employing survey, interview, oral history, focus group, program evaluation, human factors evaluation, or quality assurance methodologies, etc. Certain types of research activities may be exempt from IRB review. According to US regulations, there are six categories under which the research may be exempt from IRB review. Similarly, there are specific Canadian criteria for what constitutes research, and what types of research require ethics review. To determine your research program’s designation, contact us. Please note: There is no official registry for research ethics boards in Canada, though Advarra has official recognition on a provincial level and can conduct reviews in more provinces and territories in Canada than any other central IRB. All boards are federally registered in the United States with US FDA/OHRP. Advarra is a member of the Canadian Association of Research Ethics Boards (CAREB) and Public Responsibility in Medicine and Research (PRIM&R). All ethics committees of Advarra have been individually inspected and granted full accreditation by AAHRPP.